With enriched industrial experience and knowledge, we are trading and supplying our clients with a wide assortment of Dehydrated Green Chili Powder. We hold expertise in this business and are instrumental in providing a superb quality assortment of Green Chilli Powder to our customers. 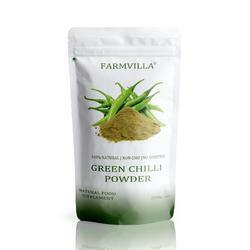 This Green Chilli Powder is fresh and hygienic to use. Offered range is processed by our highly experienced professionals by utilizing finest quality green chilli and modern technology. We take pleasure to introduce ourselves as one of the renowned firms for providing the best-in-class range of Spray Dried Green Chili Powder. 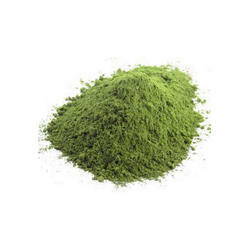 With rich industry experience & knowledge, we have been able to provide the best array of Dehydrated Green Chili Powders. a diet containing cayenne chili helps to avoid stomach aches, gas, and cramps. ayurvedic and chinese medicine recommends for proper digestion as it stimulates the flow of stomach secretions and saliva. improves blood circulation.